I’ve Found a Bat … Now What? As you know, we have a huge number of audio snippets and we want to know what’s in them! We would certainly never be able to find the bats all by ourselves — There are just that many recordings. This is where the Bat Detective project steps in. We’re really hoping that citizen scientists will help us to locate and identify bat tweets and insect clicks that have been captured across the globe by the lovely volunteers. Once we gather your votes on the contents of a snippet, this will highlight the recordings of interest and provide us with labels. 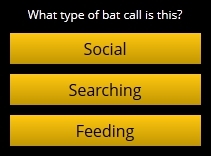 On top of hunting for the bats, your labelled sequences of searching, feeding and social tweets will also allow us to analyse the different sounds. As the number of your identifications grows, the more information we will have; it doesn’t even matter if a recording is given a range of different labels! 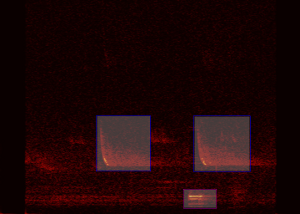 By pointing out the controversial sounds, we can gain an insight into the calls that are hard to distinguish. If the majority of your votes on a snippet’s contents agree, then this recording can be compared to other snippets that have been similarly labelled. By finding the features they have in common, and what sets them apart from other sounds, we can begin to automate our quest for interesting sounds. To help us decide on useful identifying features as an seo company for bats, which could be wildly obvious or devilishly subtle, we can use machine learning. This involves designing a computer program that we can hand our snippets and your voted labels to, for it to then return different ways the sounds can be grouped together. Analysing these resulting clusters will then pave the way for automatically detecting the different bat tweets (and insect buzzes) within any number of snippets! Hello, the only problem is.. Bat Detective provide us to differ which species of Bat.. but didnt give us example of which Bat that doing social ‘sound’ , feeding ‘sound’ or searching ‘sound’ , soo.. yeah.. check-mate for me..